We had our Biker Rags Freedom ride today, Sunday – July 23rd and an awesome group of riders rode with us. We left the store to ride a 85 mile ride through the countryside. 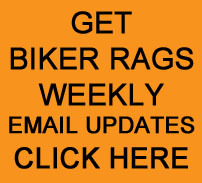 On Sunday, June 17, 2012- we had another Biker Rags Fun Run. Twenty-five bikes showed up to ride. Despite the slight threat of rain, we never felt a drop. The day was mostly sunny and clear. OLD GEEZER’S RIDE MAY 15, 2012 On Tuesday, May 15th, we had our Old Geezer’s Ride. In the mid 70’s and no rain on the radar, it was a perfect day to ride.